Phoenix Wealth Management is an artistic fixture in the Greater Hartford arts community, and that’s not just because of their unique boat-shaped office building that adds beauty to the Hartford skyline. Phoenix employees have been huge supporters of the United Arts Campaign for many years, raising funds for the Greater Hartford arts, heritage, and cultural institutions throughout the community. This year’s workplace campaign just may have been our most creative and engaging campaign of the season. Just look at these pictures, and you’ll see what I mean! 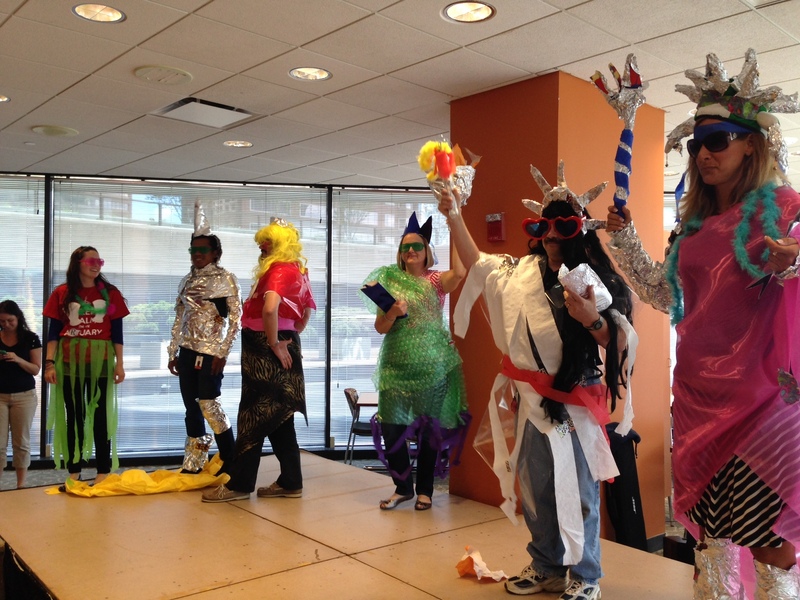 The campaign coordinators and employees joined their creative minds together to have a blast during their campaign week, all while raising thousands of dollars to benefit the Greater Hartford arts community. The week of June 23rd through June 27th was jam packed with creative arts breaks to appeal to everyone. Whether the employees were completely out-of-the-box or preferred to stay a bit more out of the spotlight, everyone had a chance to experience artistic creativity and innovative team-building throughout the week. It was hard to just choose three activities, but here are my top picks for the week at Phoenix. 2. Wall of Art To kick of their campaign, Phoenix had a fun and easy activity for employees to enjoy as a short art break during their day on Monday. 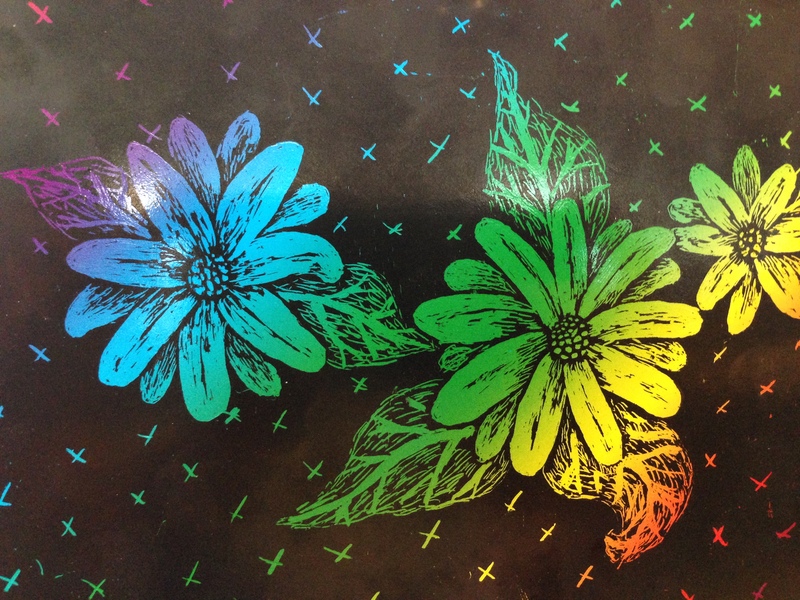 All day in their cafeteria, Phoenix employees could create a work of scratch art on the magic color postcard. 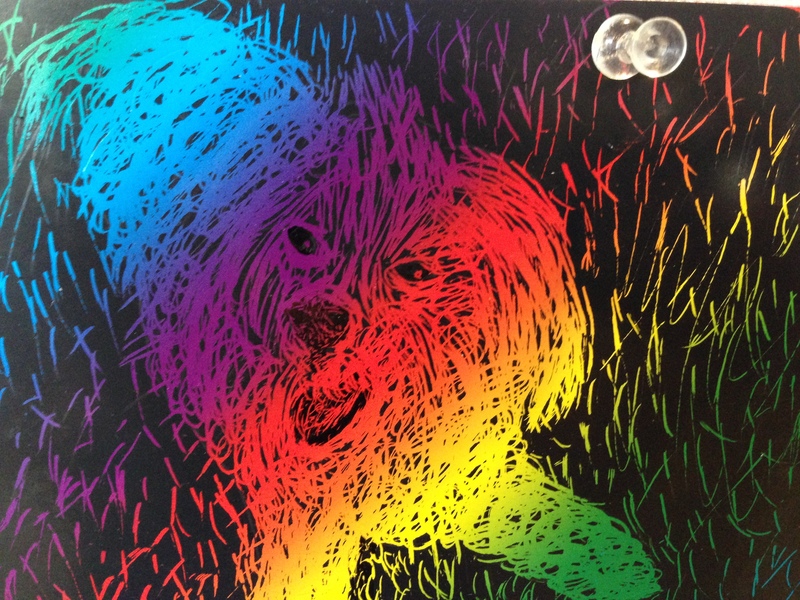 Using just a pencil, pen, paper clip, or any other sharp object, employees scratched into the magic paper to create amazing pictures that were then judged by our CEO, Cathy Malloy. Look at these amazing works of art by Phoenix employees! 3. Masterpiece Mayhem This is by far my favorite aspect of the Phoenix workplace campaign. To wrap up their campaign on Friday, different departments competed in various beat-the-clock style games in order to win different props and items that would be used to create one-of-a-kind masterpieces of art. The team-building aspect of this “mayhem” was amazing as departments came together to join their talents and creativity. Can you believe the masterpieces they created? It’s inspiring and encouraging to see employees working together while having fun– what a great attribute of the Phoenix workplace! 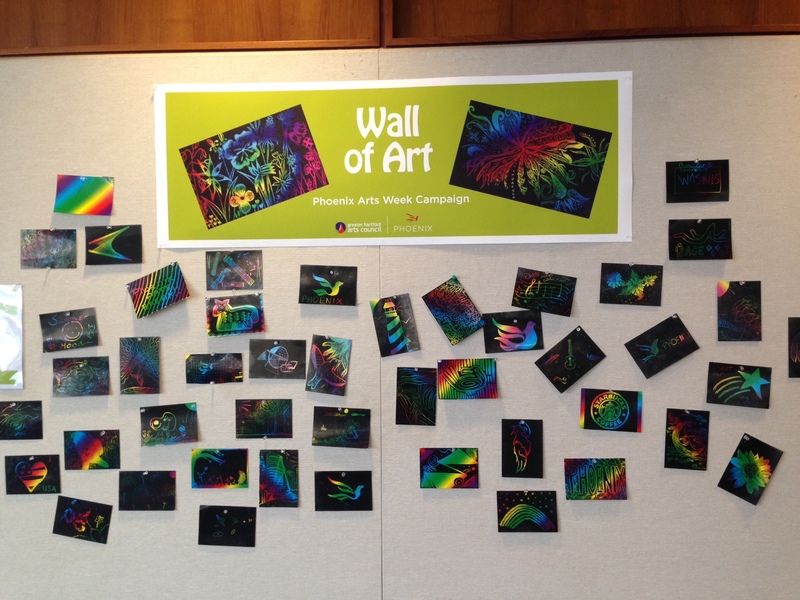 There were so many fun aspects to the Phoenix workplace campaign to benefit the arts. Not only did employees donate to support the arts, heritage, and cultural community, but they also grew as a team and as individuals. Using art as team-building, communication skill enhancement, and innovative thinking is a wonderful way to enhance your workplace and encourage your employees to think “outside the box.” I think we’re going to have to borrow some of Phoenix’s great ideas to bring such innovation to other workplaces next campaign season! And because Phoenix is such a big supporter of the arts in our region, we are very excited to announce that they will be our 2015 United Arts Campaign Chair! We look forward to Phoenix chairing the Campaign Cabinet of business and community leaders to ensure the success of the 2015 campaign.